Virginia police can make you unlike your smartphone with your fingerprint, but not a passcode. Severed fingers can’t unlock smartphones, but that doesn’t mean your personal data is safe behind a fingerprint scanner. A Virginia circuit court judge ruled this week that defendants facing criminal charges can be required to unlock their smartphones for law enforcement. The ruling doesn’t apply to pass codes. In the case, EMT David Baust was charged with strangling his girlfriend. He had video equipment in his bedroom, where the couple fought before the violent incident, and prosecutors wanted to check Baust’s smartphone to see whether it contained footage of the confrontation. James Broccoletti, Baust’s attorney, countered that compelling him to unlock his phone would violate his Fifth Amendment right against self-incrimination. Judge Steven C. Frucci ruled that people can be required to share not just a print of their finger, but their actual fingertip in the course of an investigation, like a DNA swab or handwriting sample, to unlock a device. But he said that pass codes don’t apply because they are abstract knowledge, which is legally protected. Local news outlet the Virginian-Pilot reports that Macie Pridgen, a spokeswoman for the Commonwealth’s Attorney’s Office, said prosecutors haven’t decided yet whether or not to appeal. It is unclear whether Baust had fingerprint protection plus a passcode on his smartphone, or just one. A defendant can be compelled to produce material evidence that is incriminating. Fingerprints, blood samples, voice exemplars, handwriting specimens, or other items of physical evidence may be extracted from a defendant against his will. But can he be compelled to use his mind to assist the prosecution in convicting him of a crime? I think not. He may in some cases be forced to surrender a key to a strongbox containing incriminating documents, but I do not believe he can be compelled to reveal the combination to his wall safe—by word or deed. 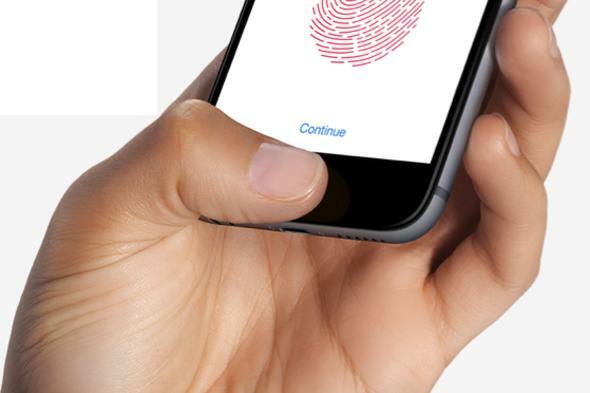 Welp, maybe fingerprint scanners won’t help make smartphones more secure after all. Good try, everyone.